Are you ready for the most anticipated movie of the year? "Star Wars Episode VIII: The Last Jedi" is sure to have many surprises, but one question that can be answered now is "what will Rey look like?" 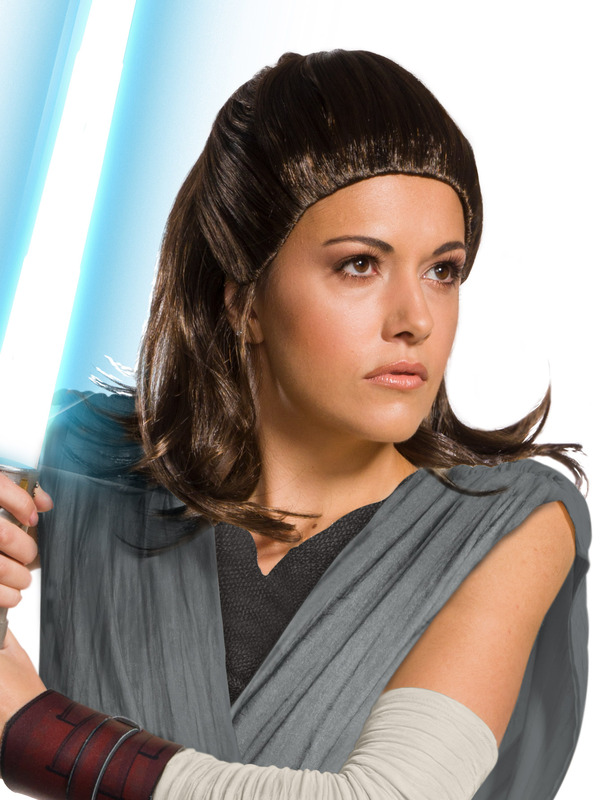 This Adult Rey wig showcases her new hairstyle that will be featured in the movie. A sleek, more mature half-up, half-down 'do is just right for you to wear for your Halloween costume this year. Now, that Rey is growing up and learning more Jedi skills, adults are more apt to want to portray her in their selection of a costume. You'll get much use out of this wig modeled after her character. Not only can you use it for Rey's costume, you can also wear it for other characters. Its flipped ends could even make a cute 60s-era disco style. Find everything you need to go along with this brunette hairpiece at BuyCostumes.com.